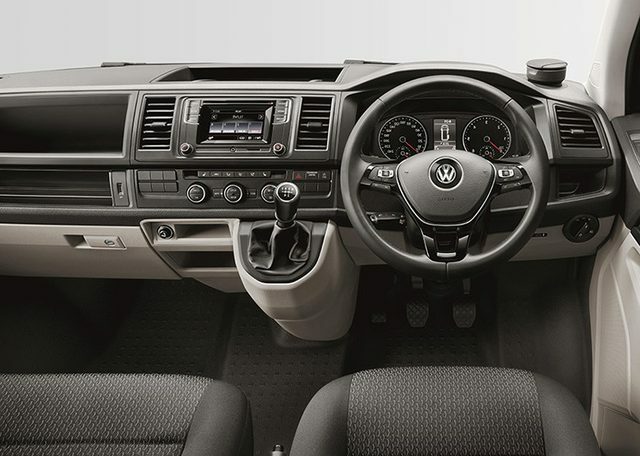 If the familiarity of this T6 generation Transporter’s look is is bugging you, that’s because Volkswagen has adopted an ‘if it isn’t broke’ policy. So what you’re actually seeing here is the most comprehensive of facelifts. The chassis and fixed points are the same, so both the dimensions and capacities of the various T6 body configurations remain largely the same. That’s no bad thing. In fact it’s very good. 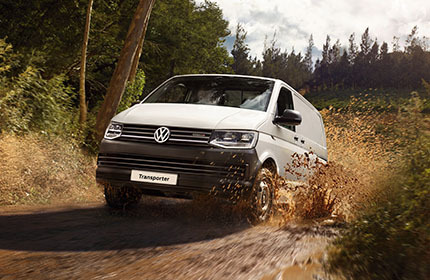 The T6 Transporter is a peach: an extremely fuel efficient, high quality and refined stuff-lugger, with a notable reduction in cabin noise compared to its predecessor, the T5. You do, of course, get redesigned bumpers and lights, so if you were to place a T5 and a T6 side-by-side, you’d see the modernisation. That’s not least because of the T6’s lovely LED running lights – one bit of technology of many that’s lifted from Volkswagen’s passenger car range. 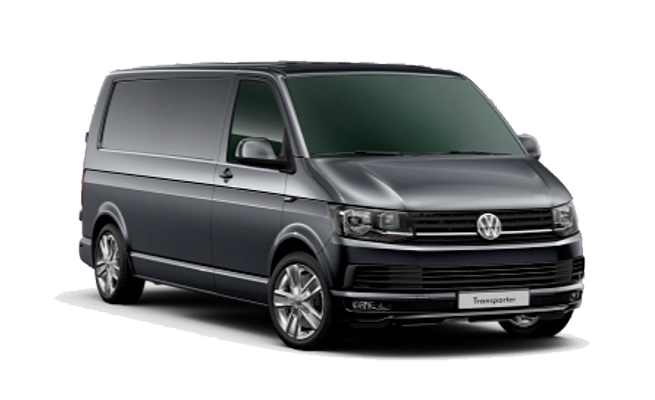 You do also get the largest range of body styles offered by any single van moniker, says Volkswagen, comprising a couple of wheelbases, three roof heights, four gross vehicle weights, and panel van, Kombi, Shuttle, Caravelle and California configurations. The engine range is derived from those found in your everyday Golf with the mainstay a Euro 6 compliant 102PS 2.0-litre TDI boasting a claimed 47.9mpg combined – a big improvement on the old model. The cabin also gets a refresh, with new seating materials and trim. The driver will get car-like assistance and safety systems, with adaptive cruise control, automatic city braking and post-collision braking. 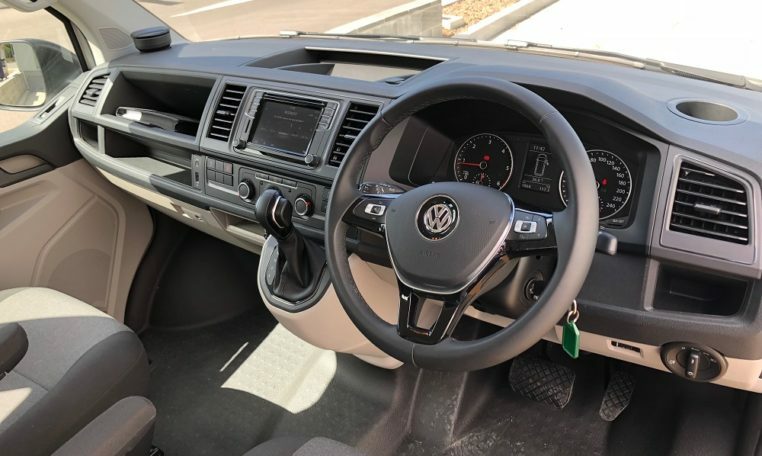 A driver monitoring system will also be fitted as standard, with audio and visual signals triggered when the driver’s behaviour indicates fatigue. 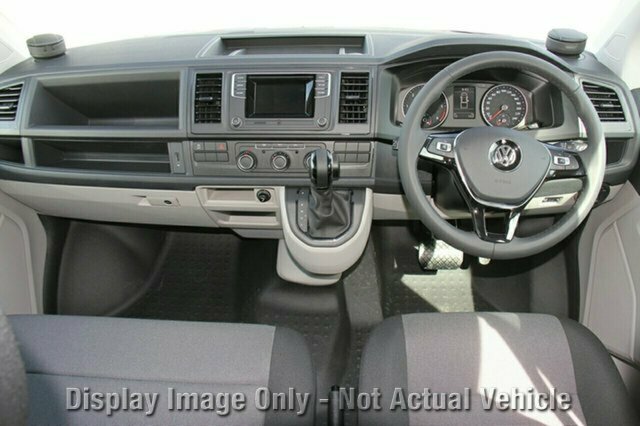 However, the T6 doesn’t simply shine because Volkswagen has thrown the entire passenger car stock cupboard at it – it shines because it’s taken a strong base and made it even stronger. One or two obvious giveaways aside, this is as car-like a van experience as you could hope for.